Facebook is a great networking platform. It keeps us connected to people who we’d have lost contact otherwise. But Facebook is not just a private networking platform. It’s a marketing one. Facebook made a move to become a marketing platform long ago with introduction of business pages and advertising. Facebook itself wants to be a marketing platform, so we quite rightly want to use it to market our websites. But how easy it is to market on Facebook without paying? 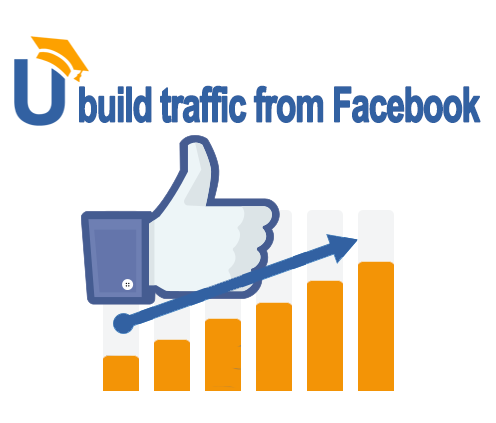 Namely, how to generate organic traffic from Facebook? Is it possible? MyBlogU users say it is and here they are sharing their tips! Here’s a case study from our user David James showing how to get traffic and leads from Facebook. Engage and answer questions in groups. Share a relevant link to content that you published on your site. This would send spikes of traffic and leads to the site. It’s an easy way to get referral traffic from Facebook. One of the key things to keep in mind is not spamming the Facebook group. People want to exchange ideas and demonstrate value. If you can do this successfully, then you should be able to earn an “expert status” within the group. One of the most effective ways I’ve found to drive targeted organic traffic from Facebook is to join relevant Facebook groups for your niche. For example, I run CutCableToday.com, a website about cord cutting and the streaming TV industry. There are several Facebook groups around these topics that I’ve joined and engaged in. Become an active member of those groups, provide value, and occasionally share your content. Remember, don’t be a spammer. Give more than you ask for in return. If you really are a contributing, helpful member of the group, they will pay attention to your articles when you share them and you can drive some good traffic this way. I love Facebook. It’s my favorite social network. I am very active in blogging groups where I connect with other bloggers. Thanks to my networking on Facebook, I get traffic to my posts, lots of social shares, new clients and I learn new stuff all the time, especially from SEO groups. 1. Make your FB profile look professional. 2. Join Facebook groups from your niche. 3. Read carefully the rules and follow them. Don’t spam the groups. 4. Be helpful and connect with many bloggers. Use these connections to get opportunities for guest posts, interviews, and roundups. In most groups, you can introduce yourself and also include a link to your site. Also, some groups have a special day when you can share a link to your latest blog post. Remember that the best groups aren’t the ones where bloggers only drop links. It’s better to avoid promotional groups as no real interaction happens there. Setting up an active niche Facebook group is even a more effective way to drive traffic in the long run because it’s easier to scale things once it starts picking up. It does take time but it has a lot of benefits including building up a reliable traffic source, using it as a customer support group and testing new ideas and concepts. @Moz has a good tutorial on how to set up and run a popular Facebook group. Tip: There’s a way to connect your Facebook group with your Facebook page to co-promote the two effectively. After last year Facebook’s News Feed algorithm update it became extremely difficult to get engagement and traffic from company business page. New algo prioritizes posts from family, friends and other core values while business pages get the biggest hit, losing 80% of impressions, clicks and traffic. We weren’t able to fully recover traffic after that update but following tactics helped us mitigate the drop and improve engagement and traffic from Facebook. It’s a good idea to do some editing to your existing videos to optimize them for Facebook. Here’s a good guide by Mike Gingerich @mike_gingerich over at @msocialbusiness. Here’s another guide by Antonio Calero @acalerog over at @smexaminer. Always create website preview with appealing image and consider adding Open Graph code to your site to automate the process. Website preview is a large clickable preview for the link that can double the engagement and clicks. Use visual quotes, ask questions, experiment to drive engagement that brings clicks! Regularly post curated content from other relevant pages and businesses to build relationship and be featured to on other groups. And there is enough said about creating engaging content that your audience would love to share. Facebook can be really mean, particularity when it comes to organic traffic. Gone are the days of using Facebook to generate pure, free organic traffic. Now we really have to work at it in order to generate any clicks at all. here’s five of the ways we at Improve Marketing use to generate more organic traffic from Facebook. 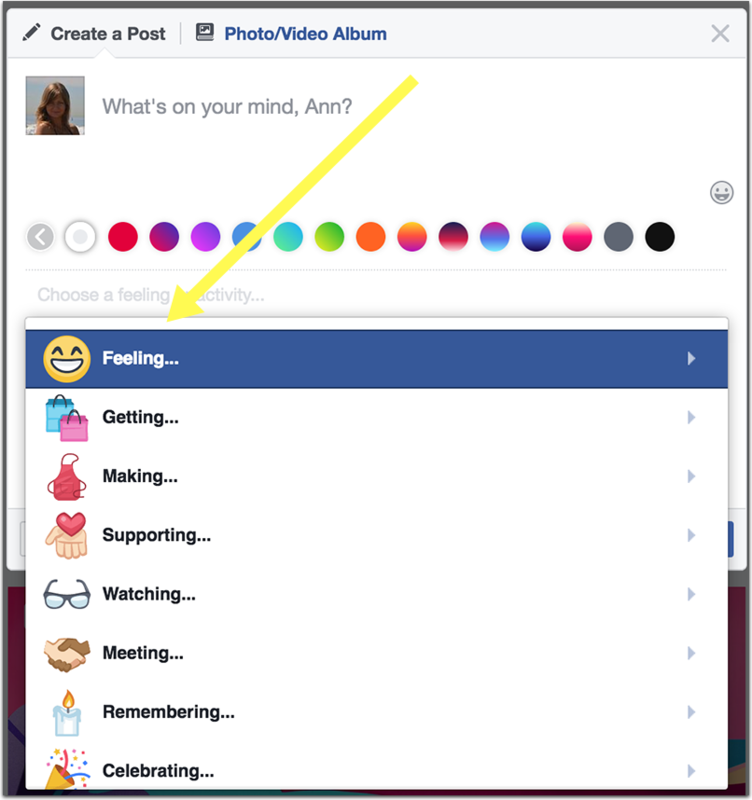 1) Create content using native Facebook apps. What I mean is, rather than post a Youtube video, upload the video to Facebook. Facebook promotes its own technologies but prevents links, like those from Youtube, from getting any traffic. Always use native FB technologies. 2) Support with paid advertising. Even the smallest amount of paid advertising seems to unlock Facebooks organic traffic. If a post is promoted by even a small amount of money it will gain much more organic traffic. Creating a promoted post seems to unlock the organic traffic lock. 3) Get social. It sounds so simple, we are talking about promoting social content right? But on posting make sure that you, your friends, colleagues, family whoever give the post a bump and like and share it. Facebook sees this as a positive sign that the content is good and opens up the newsfeeds of your friends and family too. A solid bump of engagement upon posting increases organic reach and therefore opens your up to more clicks. 4) Create compelling content with a clear call to action. Content that isnt good won’t be clicked. Content that doesn’t have a clear direction or point won’t be clicked either. Follow the old advertising adage of AIDA. The post should command ‘Attention’, then ‘Interest’, followed by ‘Desire’ with a clear course of ‘Action’ (CTA) in order to be clicked. 5) Time of posting. Check when and where you are posting. Facebook inhibits traffic from business pages at the weekend. Why, because it knows that you want to know what your friends are doing at that time, not your local business. Greater organic engagement and clicks are generated for business pages during the week. This can be further optimized by looking at what times of the day may generate better click-throughs for your business, dependent on what you are doing or selling. Check your insights, look for patterns and test them. 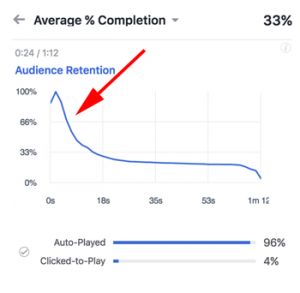 While I was at Hubspot’s conference last November, a lot of agencies were always discussing how video was helping accelerate organic traffic in Facebook. This year we have been leveraging video as much as possible for our clients by natively hosting it on Facebook’s platform and then pairing this off with our core landing page links. Just like we know Facebook doesn’t like sending traffic to other websites, it also strives on being a disruptor in the industry. We can see this in how they have built and improved their video experience for mobile and desktop users to fall more in line with the accessibility of video that Youtube offers. Facebook would prefer you adopt their platform for your video uploading and sharing. It doesn’t need to be the exclusive place you publish your content, but leveraging their emerging technologies can greatly help accelerate organic visibility. Use video content to accelerate your reach and amplify your message. Build short, helpful videos that answer a basic question or need. Include this along with your core call-to-action and landing page. You can also leverage video without landing pages to simply grow your reach too. Ensure these videos are properly annotated using Facebook’s caption feature. As much as 80%+ of video is potentially watched without sound.. Therefore, make the intent of your video accessible without audio. Leverage video with text to help present the message in a creative way that allows an understanding without audio. You don’t have to be a video specialist to deploy these strategies. Consider using tools such as @Animoto and @Biteables to quickly and effectively develop 30-60 second short form videos. 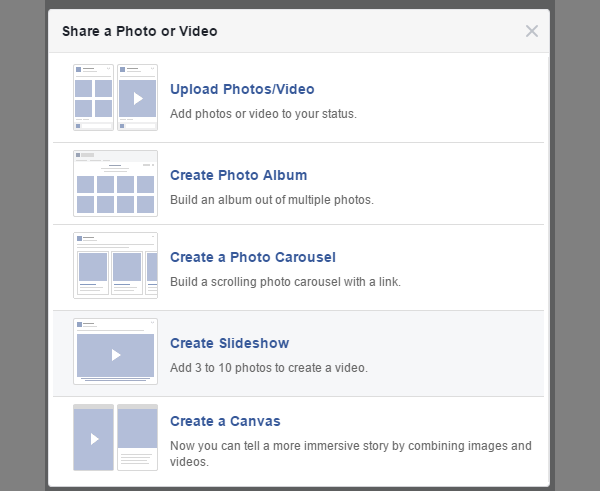 Facebook offers a basic slideshow feature where you can string together a series of product images and include background music. You can create an intro and outro slide using a basic image program like @Canva and in minutes have a quick and presentable video to distribute. Leverage Facebook live when possible to grow your audience as this has a high impact with push notifications and other notices via Facebook mobile. The enticing interruption of a limited time video presents a form of urgency that users often can’t help but check out. 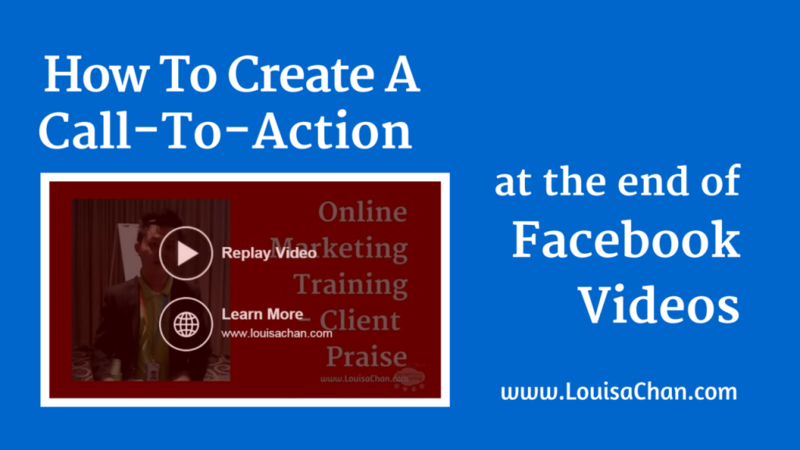 Use clear and engaging calls-to-action throughout the video and at the end of it. Here’s a good tutorial by @CoachLouisa. Looking to the future: Continue to leverage new technologies such as interactive content. 360 video, interactive post formats that Facebook offers its users. They will want to showcase their latest tech in the market and so you can rest assured that this is a safe bet to stay ahead of the curve. I would recommend for people to go on live more often on their business page, and then mention their website during the live video. For now, Facebook is giving live videos more reach and engagement relative to normal posts. You will get to engage your audience on a deeper level and be able to reach more of your audience. 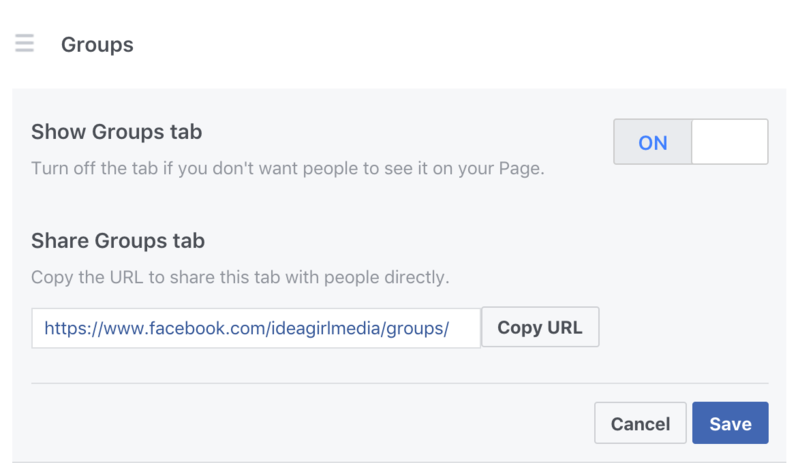 This might seem counter intuitive but if you want traffic to get from Facebook to your blog or site – don’t share the URL. Write a quick summary about the post and add “for more info find the link in the first comment” – it’s really that simple. 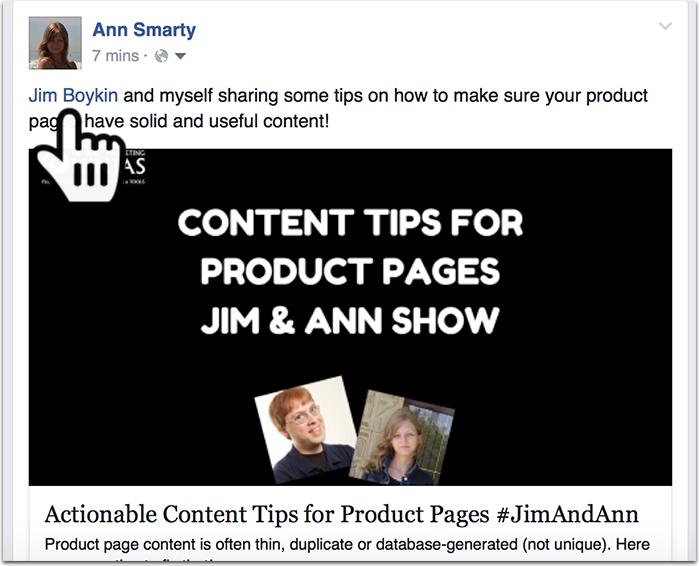 Once you share your post summary, add the URL to your post in the first comment. That’s it. Facebook’s algorithm bumps text posts higher that URL shares. 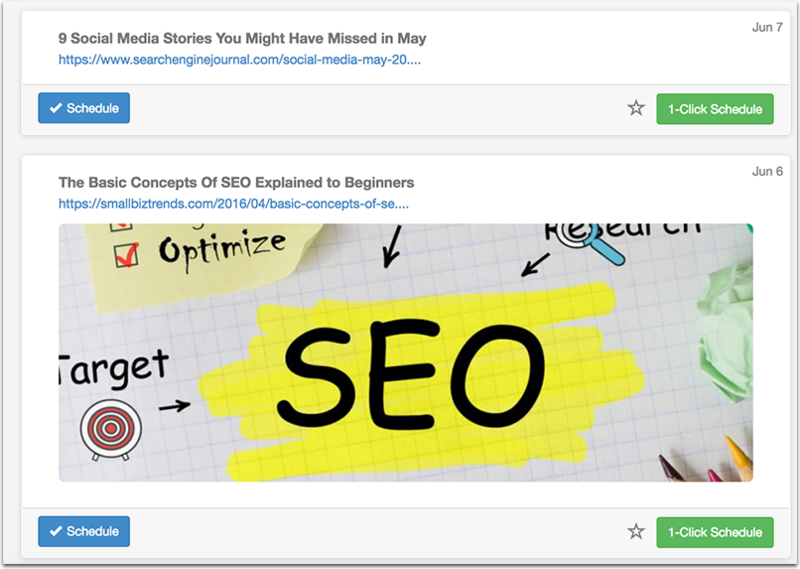 Moreover, our tests show that we get 4x times more post views when sharing content this way. Tagging on Facebook does take time: It won’t always work even for friends (for whatever reason) but don’t be lazy: Tag whenever that makes sense. Once those people you tag come over to like, share or comment, Facebook will allow more and more people see your update. Note: Never tag just anyone you can think of: I always unfriend people who engage into irrelevant tagging. Tag people when you mention them in your article! These updates also stand out and often trigger some emotional response which helps spreading too. Apply to get featured as #VCBuzz Twitter chat guests! Some perfect and best advice you shared, thank you! I am so damn shy of the video… I think I have to overcome the fear. And start practicing the most common and worth doing steps in making myself heard in the noise. So, I will go through the best pieces of advice to progress! Thanks a lot for the awesome content!